Animal Rights group ARAN is willing to offer a reward of €1500 if someone comes forward with information that leads to a conviction. ANIMAL RIGHTS GROUP ARAN have blamed RTE’s popular crime drama Love/Hate for the horrific incident in Edenderry where ducks had their heads cut off. A number of ducks heads have been found at the harbour in Edenderry in the last week, forcing some of the remaining ducks to be removed. During the summer there were 40 ducks in the harbour, now there is just 18. Speaking to TheJournal.ie, spokesperson for Animal Rights Action Networ John Carmody said they had been speaking all week about the violent scene at the beginning of the first episode of the fourth series, aired last week in which a cat was shot dead with a machine gun. Was it just a coincidence or was it some heartless individual(s) with serious time on their hands who callously and grotesquely ripped the heads of a reported twenty ducks in Edenderry, Co. Offaly in the last number of hours? We have been reporting to the media all week the increase in violent crimes towards animals, and that a popular programme such as Love Hate’s scenes of animal abuse is doing damage to our already tough work of curbing cruelty to animals. Was this a copy cat of a previous scene in Love Hate where pigeons necks were snapped? This is not a game we’re playing and this is not public entertainment. He added that “scenes in Love Hate are putting sick ideas into already sick individuals who get kicks from tormenting and torturing defenseless animals. Today we are horrified at the latest reports of ducks heads been ripped off. Was this just a coincidence or was it some heartless individual with serious time on their hands, I beg to differ and we’re out to get them locked up”. The ducks have been in the harbour ever since the Tidy Towns group decided to renovate the harbour area that is in the centre of the town. Speaking to TheJournal.ie, Independent councillor Noel Cribbins said “twenty-two ducks are missing and a number of heads have been found. We first thought that it must be a fox, but the cuts are clean cuts, so this was done maliciously, not by some animal,” he said. He said that the gardaí had been told but said there was not much they could do. “We have put the word out now, so I hope some information comes to light”. He added that the remaining ducks in the harbour are now frightened. “The ducks that can fly have moved down away from the harbour because they are scared. Those that cannot fly, we have had to remove them for their safety for the winter. They have been moved to a local farm,” he said. He said the situation would be reassessed in the springtime. He added that the ducks were really loved in the town, stating “people really enjoyed coming down with their grandchildren and family to feed to ducks and it was lovely to have them here. They added a lot to the town”. Mr Carmody said there has been a huge spike in these incidences and said they were calling on the authorities to take these matters more seriously. ARAN is appealing to the public for any information about the incident in Edenderry, stating that they are willing to offer an award to someone if they come forward with information that leads to the conviction of the people responsible. “We need more serious laws to deal with people who do horrific acts like this, the laws we have are not sufficient enough. I refute that this could be a case of people killing ducks for food. Was it for food when seals heads were ripped off of stuck on the railings of their sanctuary, or when horse’s stomachs are pulled out. This is graphic stuff but it happens and it needs to stop,” he said. He added that there was no profile available for the types of people that commit these crimes, saying, “there is no profile because no one has ever been caught. We are going to try and do what we can to apprehend these people and we are calling for a stiff fine and prison time for these people as well as a psychological evaluation. This really is a step too far,” he said. 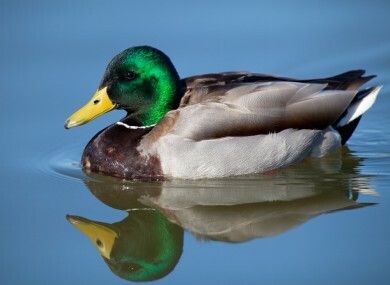 Email “Love/Hate blamed for decapitated ducks”. Feedback on “Love/Hate blamed for decapitated ducks”.